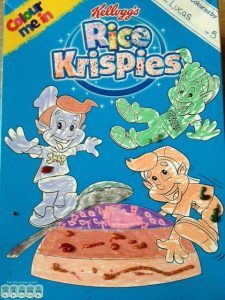 BritMums has teamed up with Kellogg’s to host a fabulous competition for children to unleash their creativity and make the Rice Krispies box look more fun. 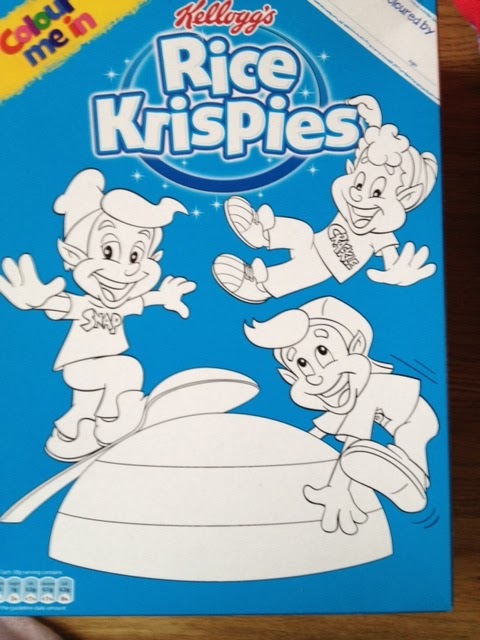 Kellogs have changed the front of its Rice Krispies boxes with a section to be coloured in. 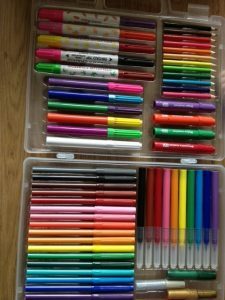 I know I’m off to buy a box for myself to colour. My oldest had so much fun colouring this in. We were sent a huge box of colouring in utensils and a box of Rice Krispies to colour. How cool, it has scented pens, glitter pens, ones that change colour and stamper pens. All very exciting. Lucas was very excited by these and set about colouring in his box. And the finished article. 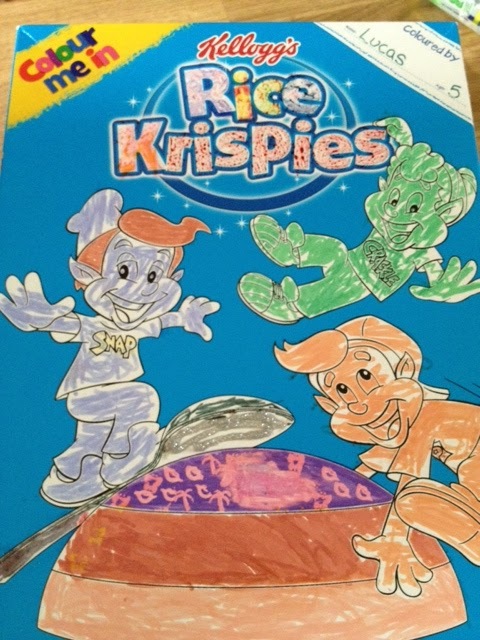 This is our entry into the Britmums and Kellogs Competition in which we could win £500 or Lucas design on a t-shirt. What do you think? Lucas had so much fun doing this, he loved the stamper pens and was fascinated with the scented pens. I think we all got our noses coloured in with him putting them to us to smell. And what’s not to love about glitter. 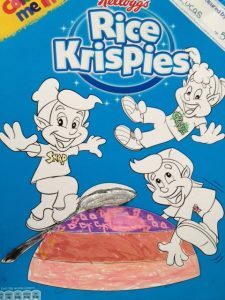 After the pictures were taken we got to each the yummy cereal that is Rice Krispies and listened to that familiar Snap Cackle and Pop. This weekend we are going to make some marshmallow treats with the leftover rice Krispies, I cannot wait, never mind the boys. 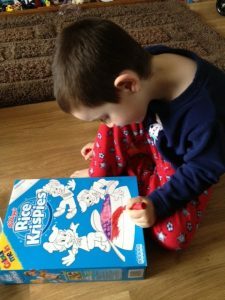 Thank you to Kellogs for sponsoring this fab comp for the children and Britmums for hosting it. There are lots more colouring in options on the Kellogs website for you to check out. Disclaimer:- We were sent the pens and box of rice krispies free of charge and write about it on my blog as my entry into the competition. No money has been exchange.